A record number of young people from electric cooperative service areas in 43 states — including more than 150 students representing Tennessee co-ops — visited Washington, D.C., in June for the 2014 Washington Youth Tour, spending time with elected officials and taking in the historic, interesting sites of our nation’s capital. Students were rewarded with spots on the weeklong tour of D.C. for writing winning short stories titled “Electric Cooperatives: Serving Our Members Past, Present and Future” describing how locally owned, member-controlled electric cooperatives continue improving lives in their service areas through special community-building programs as well as reliable and affordable electric service. Multiple teachers were also awarded a spot on the trip to recognize their invaluable support of the youth tour program. “Youth Tour offers students a great opportunity to develop leadership skills, see our government in action and meet other young people from across the country while touring Washington, D.C., and learning American history,” said Jo Ann Emerson, CEO of the National Rural Electric Cooperative Association (NRECA). The annual event continues a tradition that began following a speech by then-Sen. Lyndon B. Johnson at the 1957 NRECA Annual Meeting in Chicago. 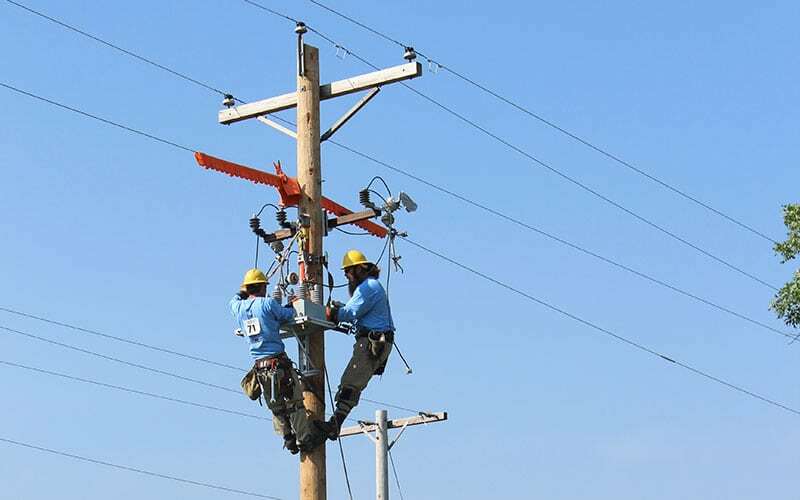 The future president urged electric cooperatives to send their young people to the nation’s capital to remind members of Congress that electric co-ops are more than just poles and wires — they are people. The Washington Youth Tour is a joint effort of local electric cooperatives, the Tennessee Electric Cooperative Association and NRECA. Each school year, co-ops sponsor a short story contest for high school juniors. Winners are awarded spots on the expense-paid trip to our nation’s capital the following June as part of the Washington Youth Tour. This year’s tour ran June 13-19 and included meeting with elected officials, visits to Washington’s popular tourist stops and time to visit with winners representing other co-ops across the state. More than 1,600 youth attended from co-ops nationwide — topping the number of any previous event. 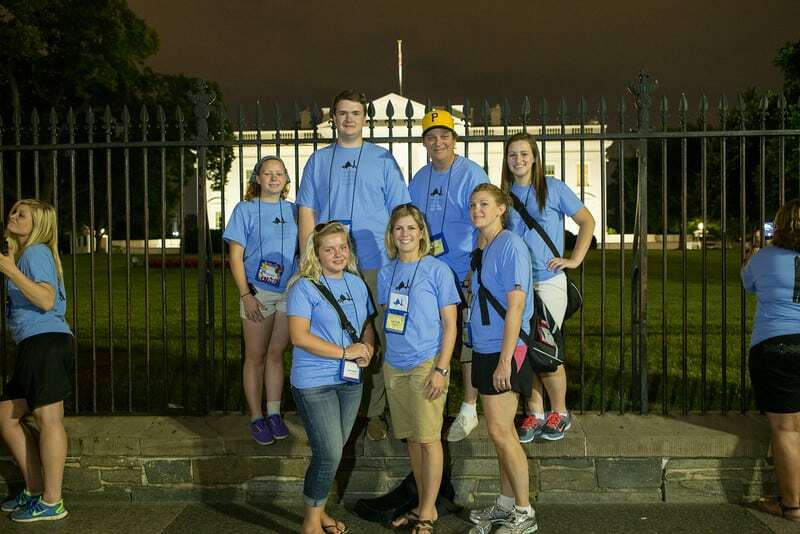 Since 1964, more than 53,000 young people have joined the Washington Youth Tour. Students on the tour visited the White House and memorials to past presidents Thomas Jefferson, Abraham Lincoln and Franklin Delano Roosevelt as well as monuments honoring the sacrifices of veterans of World War II and the Vietnam and Korean wars. Strolls through the varied museums of the Smithsonian Institution afforded the students opportunities to learn more about science, history and art. Other fun stops included homes of former presidents — George Washington’s Mount Vernon and Jefferson’s Monticello — a performance of “Disney’s The Lion King” at the Kennedy Center for the Performing Arts and a boat cruise down the Potomac River. The Youth Tour also included solemn and sobering visits to the United States Holocaust Memorial Museum and to Arlington National Cemetery, where the group laid a wreath at the Tomb of the Unknowns. No trip to Washington, D.C., would be complete without a lesson or two in government and civics. The group was welcomed to the U.S. Capitol by Sens. Lamar Alexander and Bob Corker, and several representatives also spent some time with their constituents outside the Capitol and posed for photos.